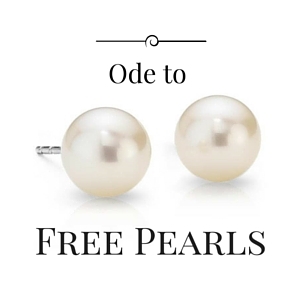 Jewelry holds an important place in many men and women’s everyday lives. In particular, the ring has had a deep significance for thousands of years across most cultures. It is worn to celebrate a special occasion, to show your commitment to someone, or to remember that special someone who has already passed on. Of course, as a wedding blog we like to shine a light on the commitment side of things. 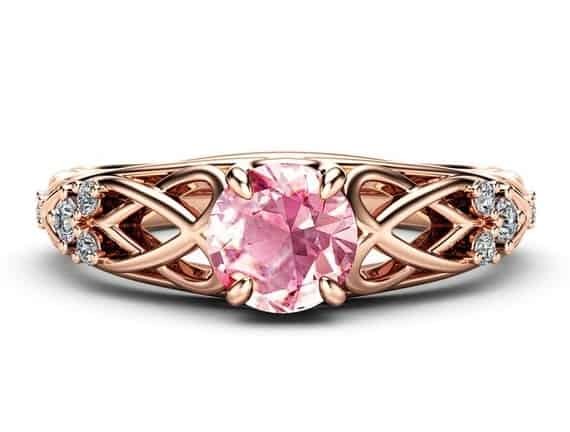 That’s why today’s post is all about helping you find a celtic engagement ring design that is relevant today, yet holds a special symbolic link. Why a Celtic ring design? 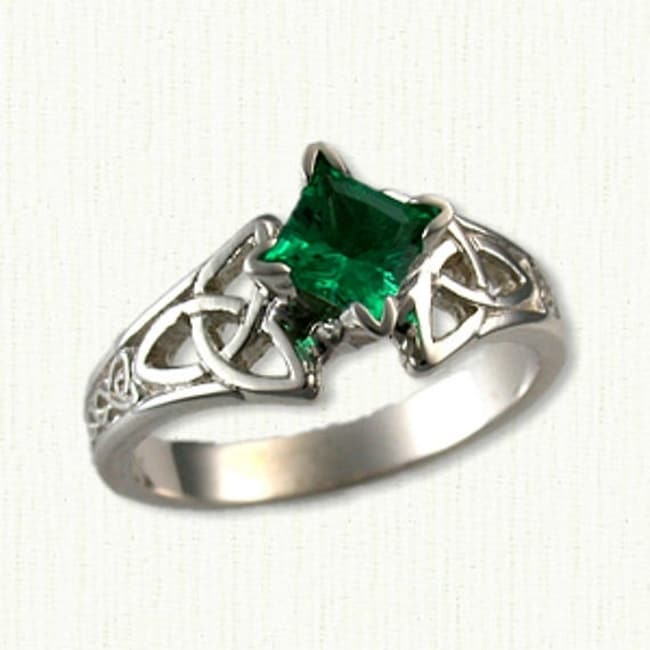 Have you ever thought about a Celtic engagement ring as a wedding band? Before moving over to Ireland, my answer would likely be “no”. The only real exposure I had was my mom’s claddagh ring, which she keeps tucked away in a jewellery box. The world of jewelry is immense, and you may have passed over Celtic-inspired designs in the past. What a shame, especially when each style is so unique and has its own separate meaning. 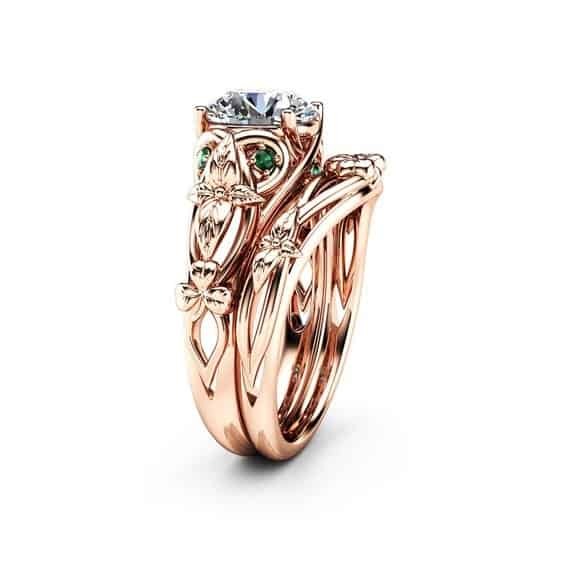 With its historical Irish heritage, the Celtic ring is certainly an interesting and unique take on the engagement ring. 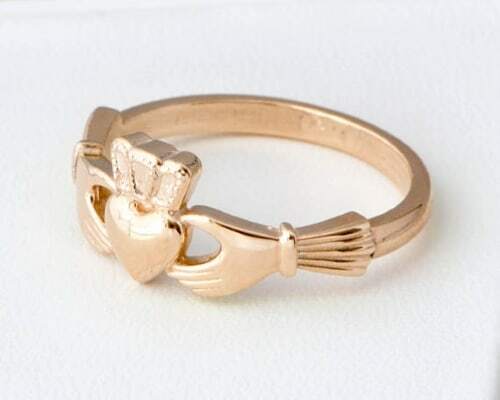 Claddagh Ring – also known as the Hands and Heart ring, because, well, there is usually a delicate carving of hands and a heart. This ring is sometimes used for friendship, but can also be used as an engagement ring due to its heart-warming significance. On these kind of rings, you can usually find in Celtic, “Let love and friendship reign”. A powerful, impactful and touching message for your future fiancée, who is also your life-long best friend. Celtic Knot – believe it or not, something so simple is actually quite meaningful. You see, the knot generally represents balance and infinity. That makes sense just from looking at the design. The knot is something without an end, which does not come apart easily. Although we tend to associate the knot design with Ireland, it may not even come from The Emerald Isle. The design was probably brought to the country by continental Europeans, perhaps Italian. The Irish have carried on the “trend” as it were for centuries, and it is now engrained in Celtic lore. Who wears a Celtic engagement ring? There are several answers to this question. The obvious one is someone with Irish heritage! It show you pay attention to detail and you thought of their background and their family whilst picking out the ring, or perhaps you two shared a special moment in Ireland, and that’s why a Celtic engagement ring speaks to you a lot more than other designs. To be perfectly honest, you don’t need to have some kind of connection with Ireland to enjoy the beauty and the history behind Celtic heritage and their symbolism. The Trinity knot is also known as Triquetra, being the word for “three-cornered” in Celtic. How did it become part of Irish heritage? It was part of Celtic artwork from the 7th century, which has made us tend to associate it with that part of history. It has religious connotations, representing the Father, the Son and the Holy Spirit. As far as engagements are concerned, it is known for symbolizing unity and eternal love, making it the perfect symbol for an engagement ring. Finally, a trinity knot is known for representing a family of three – mother, father, and child – ideal if you are both thinking about starting a family. Just take a look at these breath-taking rings and decide for yourself. This is a modern-day take on the trinity knot design ring, with its triquetra designs on each side of the gemstone (your choice), it has an antique feel to it. The front of the ring is embellished with diamonds for a more extravagant look. This Etsy ring designer from Israel has a 5-star rating, and crafts rings of 100% recycled gold and non conflict diamonds in high quality. 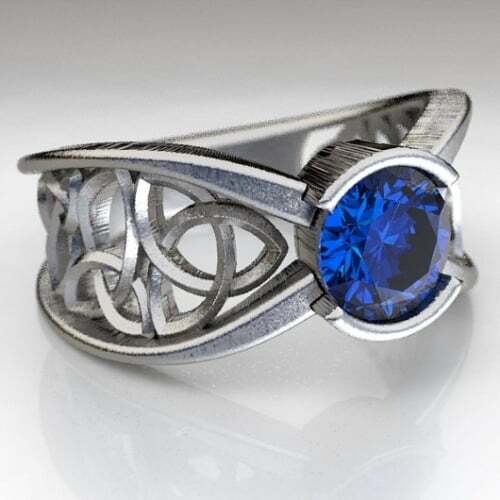 If you want something that looks straight out of the Celtic era, then you will love this sapphire celtic ring. The blue sapphire gemstone gives the ring a dazzling finish, and the asymmetric look is so original. A 5-star Etsy seller based in Colorado offers up this affordable option for an engagement ring with integrated Irish heritage design. Isn’t that everything you could possibly want in a relationship and something you would want to be promised for eternity? The origin of the Claddagh ring is said to come from a tale about a man in the ancient town of Galway. He was soon to wed his beloved, but was taken prisoner by sailors before the wedding day and forced into labor in a far away land. During his imprisonment time he learned the art of jewelry making. Eventually, he returned to his home in Ireland and found that his betrothed had never married. 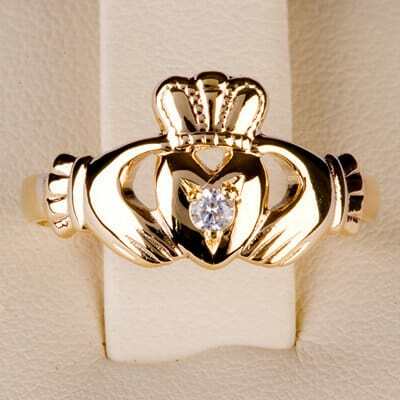 With great joy he designed the Claddagh ring that we know today. 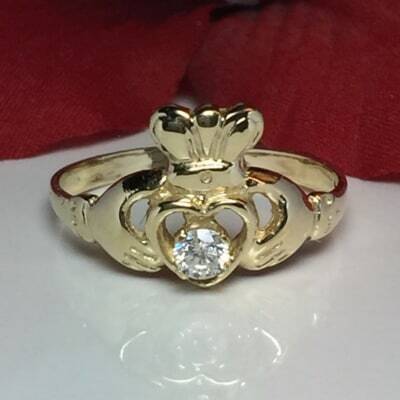 Let’s take a quick peek at three wonderful Claddagh ring designs we found. This stunning ring features the truly unique Claddagh design, and there is even a diamond set inside the heart for a more dazzling effect! Though this one is yellwo gold, you can get it in either white or rose gold for a feminine finish. The ring features a center crown (mentioned earlier), which symbolizes loyalty. On a budget and still want to invest in a timeless Celtic piece for your big proposal? Check out this 10k rose gold ring, which at the time of publishing is on sale for about $160! The ring is handmade and made to measure, at a price that anyone can afford. 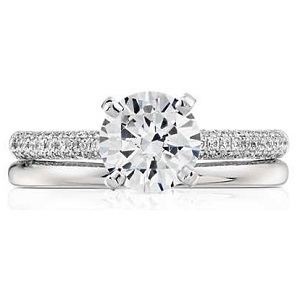 A ring that bears similarity to the first ring above, but it is actually vintage. If you have a penchant for all things antique (with a Celtic heritage), this ring may be the one for you. It is from the 1980s, making it a truly special piece for an avid fashion fanatic. We think the design of the diamond set inside the heart gives extra special meaning to ‘diamonds are forever’ … and so is your love! Inspired by Celtic history and the shamrock, this design has Irish written all over it. Ideal if you’ve ever been to Ireland on a memorable trip, or if you both have Irish heritage. A unique 2 carat moissanite sits atop, while laurel leaf designs and emeralds make this a stunning and dazzling engagement ring! This ring features the marishelle design (one of the most popular), which helps to hold a bedazzling lab created emerald into place. The emerald against the coldness of the 14k white gold is absolutely stunning. The band is available in yellow gold for those who have a preference. The Catham Emerald is such a great choice because of how soft genuine emerald is on the hardness scale. 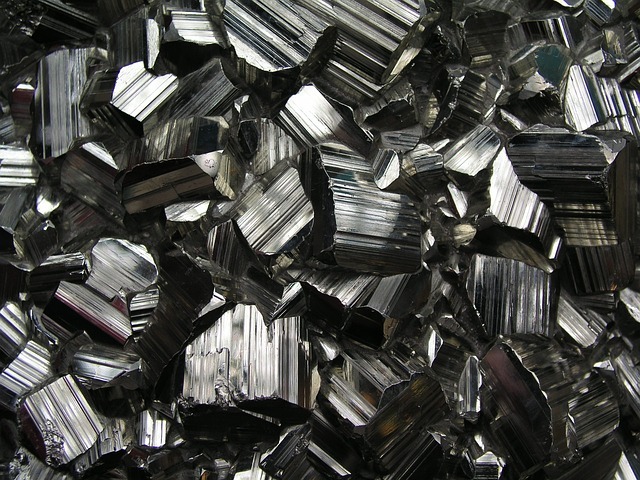 For more information on gemstone hardness, check out our guide here. 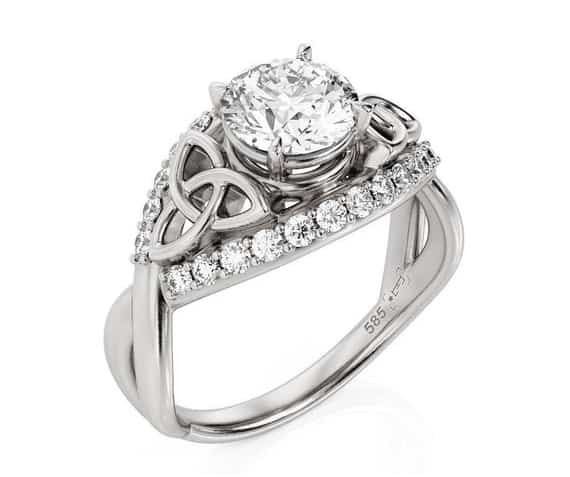 This braided design gives the ring a vintage look, and of course the Celtic influences can be seen in the design. 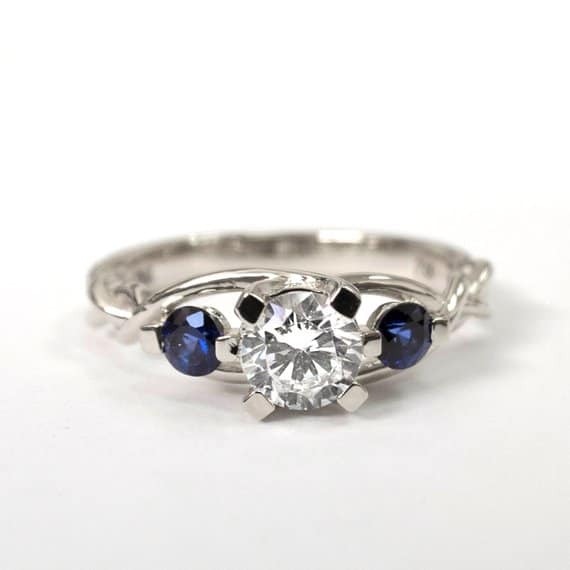 A handmade 14k white gold ring set with a central diamond and two natural sapphires. The two sapphires add a bit of light to the ring, which will glisten in the sun. It can even be personalized to make it extra special. What happens when you mix Celtic inspiration with a classic take on Art Deco? This ring! The rose gold band and the pink moissanite stone give a feminine touch, and will make her feel like a true princess. This is a limited edition original design from 5-star seller Ayala Jewelry. Our final recommendation is not an engagment ring, but could be perfect as a mens wedding band. We first met Dublin based jewelry designer Eamon ó Broin a couple years ago, and can personally vouch for the quality of his craftmanship. In our opinion, you are getting serious Celtic ring value for your money! Produced from copper, sterling silver, and gold, his designs are sharp and on trend. 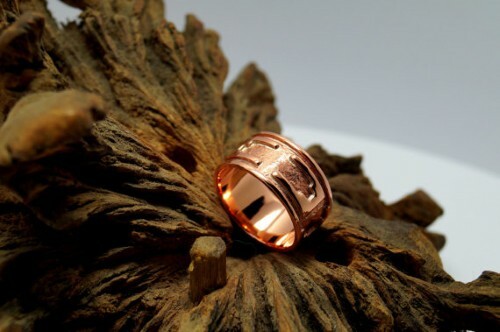 Check out more unique men’s wedding bands here.